Test Cricket at the Gabba is a proud pleasing experience not to be missed! We look forward to your visit and can assist with any arrangements you may require. After the games relax in our pool, pull up a stool to our bar and later enjoy a great meal at our very own BOOTS restaurant. Cricket, The Gabba and The Wellington just go together. Why not click onto our reservations page and grab a room right now. 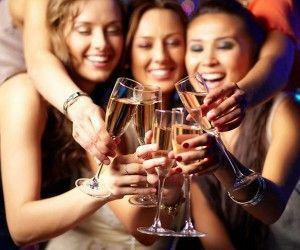 Looking for Accommodation Special deals for your Brisbane accommodation near Kangaroo Point and Woolloongabba? The Gabba Brisbane Cricket is just 500 metres from the Wellington Boutique Apartment Hotel. This Brisbane Accommodation near the Gabba offers large fully self contained apartments and studios. Being the best accommodation close to The Gabba and Brisbane CBD the Wellington Apartment Hotel is always very popular come Test Cricket time. Looking for Brisbane Accommodation near The Gabba for an upcoming sporting event? Look no further than the Wellington Apartment Hotel. The Wellington Apartment Hotel are proud supporters of The Brisbane Lions. 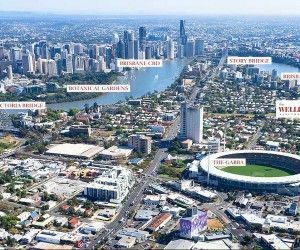 The Brisbane cricket ground in Woolloongabba, now affectionately known as The Gabba is not only an iconic structure but home to the Brisbane Lions AFL team, the Brisbane Bulls and Brisbane Heat cricket team. Recent renovations to this icon now see a seating capacity around 50 000, imagine the atmosphere! The Gabba also available for hire for those wanting to host their own event or function with the Wellington apartments a stone`s throw from the venue. A short walk (15 minutes) means no need for a car or parking issues. Leisure as well as business travellers looking for East Brisbane apartments close to The Gabba will find a great range of fully furnished apartment options. From studio apartments, hotel rooms and 2 bedroom suites, you will find the perfect apartment option for your requirements at The Wellington. You will love our central location, just minutes from the Brisbane CBD, South Bank, QPAC, Princes Theatre as well as the Gabba. After a big day at a Gabba game, return to the Wellington to enjoy the onsite pool and bbq area, parks and play grounds nearby and the onsite lounge bar, coffee shop and restaurant. Enjoy relaxed dining with the restaurants European chef preparing a range of meal options using locally sourced fresh produce. 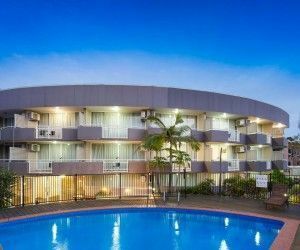 The Wellington apartment hotel is the ideal choice for those wanting Brisbane accommodation near The Gabba, Woolloongabba in Brisbane. © 2015 THE WELLINGTON HOTEL APARTMENTS KANGAROO POINT BRISBANE ACCOMMODATION. SITEMAP.